If you own a business, curb appeal is very important. While a clean, well-maintained property will attract customers, an ugly and messy one will drive them away. That’s why the paving contractors at Bulldog Paving, serving homeowners and businesses throughout the Calgary area, recommend making sure your asphalt parking lot is in the best possible shape. 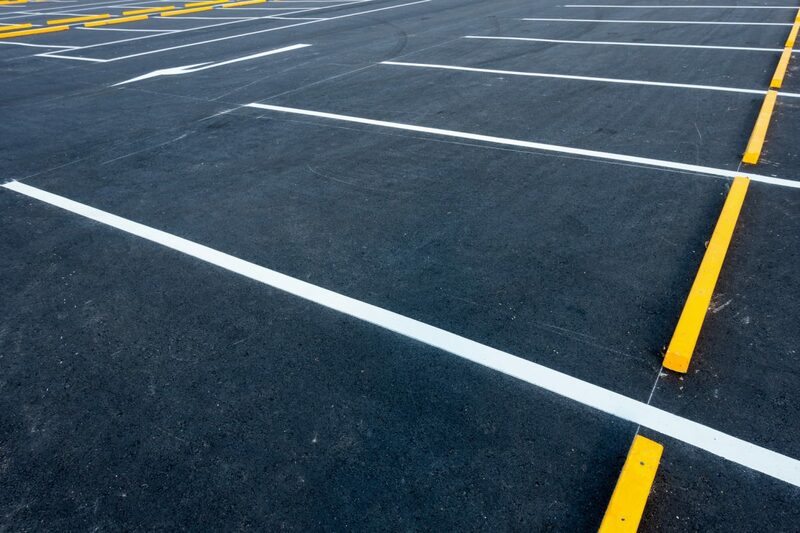 Customers will be a lot more likely to return to your shop or office if they have a freshly-paved lot to park in. Remember that your property can be one of the most effective advertising tools you have, so long as you maintain it. Customers who aren’t already familiar with your business may learn about its existence when they first pass by in their cars. The look of your property determines what kind of first impression you make. If your parking lot looks damaged, dirty, and generally unappealing, they’ll probably keep driving. If it’s in reasonably decent shape, they might not notice your business at all. However, if paving contractors have recently provided you with a fresh, new asphalt parking lot, customers will notice, and probably pay you a visit at some point in the near future. Convenience plays a major role in determining whether someone will return to a business for a second visit. Something as simple as a crowded parking lot may be enough to keep them from coming back. On the other hand, if your parking lot offers ample space in a clean, comfortable environment, you’ll be far more likely to attract return guests. People are generally far more productive on the job when their workplace is clean and well-maintained. Arriving to work in a dirty parking lot filled with cracks and potholes will put anyone in a low mood. Showing up at an office that looks great, however, will foster a more positive attitude in your employees. Depending on the nature of your business, you might even want to assign someone the task of cleaning up your parking lot once or twice a week. Anyone who’s ever driven through an old, damaged asphalt parking lot knows that the amount of spaces in the lot isn’t always equal to the amount of spots available to park in. Some lots get so damaged that certain spaces are essentially no longer usable. Guests don’t want to park their vehicles with one tire resting in a pothole, after all. Get in touch with a parking lot paving company and ask about repairing those spaces. You’ll find that there suddenly appears to be much more room in your lot, even if you didn’t technically add any new spaces. At Bulldog Paving, serving the Calgary region, experienced paving contractors frequently see how something as simple as repaving an asphalt parking lot can be enough to help any business grow. To learn more about having your lot repaved, contact them online, or call (403) 651-1900. Need an asphalt parking lot for your business? Call us for a free estimate at 403-651-1900 today!